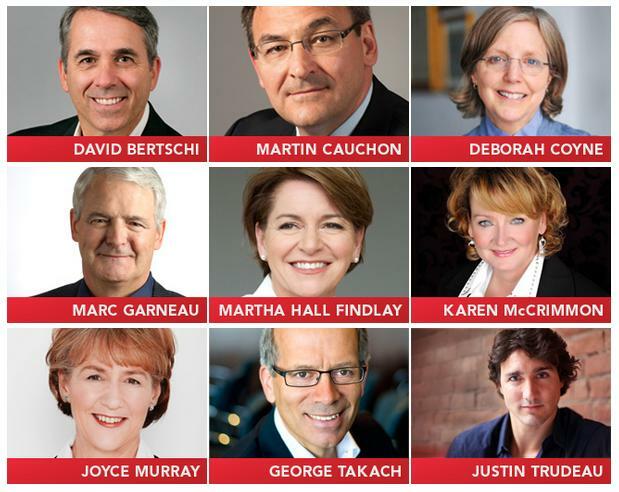 My Life in Letters: Ahead of #lpcdb8, all eyes are on @JustinTrudeau, @JoyceMurray. Ahead of #lpcdb8, all eyes are on @JustinTrudeau, @JoyceMurray. Today, there are 2 opposite groups lurking the Liberal leadership debate who will decide the fate of the race: the ultra and the post-partisans. The die hard Liberals are seeking their next boat to Sussex Drive; meanwhile, the Project Democracy/LeadNow/Nathan Cullen crew are waiting to see if Joyce Murray is a candidate we can get behind. In reality, post-partisan progressives are the grand prize for non-Conservative parties. We are the people who critically engage with difficult conversations and let logic rather than allegiance decide our vote. My beliefs in progress transcend any plans for advancing a party as we face ecological, financial, and social crises that cannot withstand Conservative rule beyond 2015. In truth, as a progressive it’s hard to see much difference in the values of the Liberals, Greens, and New Democrats. On paper they stand for the same things, but their policies show the real contrast. Given that policies change relatively quickly, especially after new leadership is chosen, it makes sense that progressives would be more mobile between parties. Critics bemoan that we use a broken electoral system, which I agree with, but it must too be criticized that most parties are not using the electoral system to their best advantage. The party best suited to FTFP (first past the post) elections is the Bloc Quebecois. The Bloc strategy emphasizes the geographic rather than ideological nature of representation in Canada, something left-leaning parties have been slow to realize. The crowded Canadian left consists of three hungry dogs scrapping it out for the moral high-ground. Unfortunately, our electoral system doesn't align with this discourse. In Canada, we ultimately elect a Parliament of individuals, not a party. By vilifying strategic voting, partisans and pundits misrepresent the nature of a Canadian election ballot. Now that the per-vote subsidy has been abolished, there is absolutely no shame in strategic voting in FTFP elections. Ideally, Canada would adapt an electoral system that embraced both geographic and ideological representation (my thoughts on that matter were already blogged here), but we aren't going to get there with Stephen Harper in office. Electoral cooperation is not a long term solution to Canadian politics, and it is not a pretext for a two-party system. The idea is a democratic means of confronting Conservative over-representation in the next federal election, and it is a pretext for electoral reform. These conditions are why the race is between Justin and Joyce. Justin's youth, last name, and hair make him a relatively easy sell to Canadians, buy every pundit is salivating for his campaign to implode. There is nothing interesting about a political coronation; besides, we've already seen how the CPC has been collecting unfavourable footage on Trudeau. While the Trudeau campaign is has now raised more than any NDP leadership candidate was even allowed to spend, Joyce Murray’s got an ace up her sleeve that no other candidate will manage effectively, clicktivism. The LPC actually created the perfect storm to elect Joyce Murray; they made voting free, online, and non-delegated. By including an unlimited number of new supporters in their leadership contest, the race has evolved beyond reductive punditry saying the process is a "referendum on______________". That blank is usually filled by "Trudeau" or "the economy", but it could be equally be a referendum on electoral cooperation. More than great hair and market-friendly policies, Canadians want a sure-fire plan to prevent another Conservative victory. We need to create a political culture where minority governments are expected and expected to work. Minority governments require cooperation and policy compromise; they facilitate dialogue and create opportunity for Canadians to have more input into their legislatures.